The Pacific Ocean is the largest of the world’s oceans. It stretches from the west coast of North and South America to the east coast of the Asia and Australia continent. Keeping in mind the world is a sphere, this map shows the Pacific Ocean on both the left and right sides. That is because they are actually connected with the top left of North America almost touching the top right corner of the Asia Continent. The Pacific Ocean represents nearly half of the world’s water surface. It is actually larger than all the land surface area on earth. The Pacific Ocean is also home to the deepest point in the ocean, called the Mariana Trench. 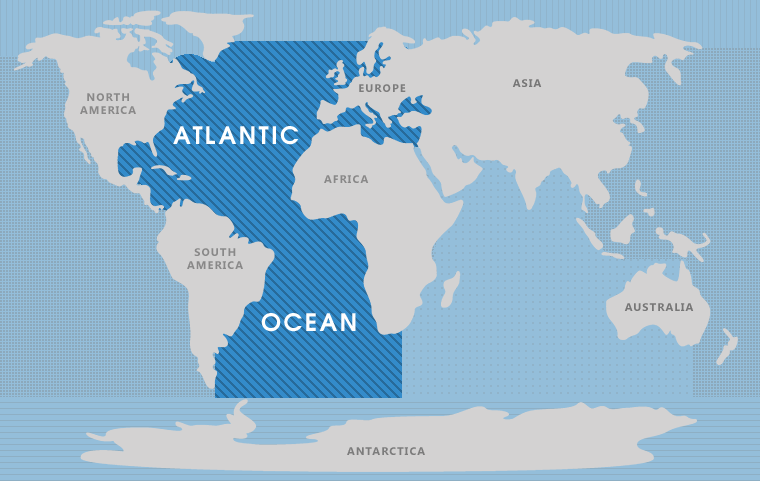 The Atlantic Ocean separates the continents of North America and South American from the European and African continents. It contains salt water and accounts for 20% of earth’s surface area. If you look closely at the map you will see that the Atlantic Ocean takes the general shape of the letter “S.” It is also the second largest ocean on earth after the Pacific Ocean. It is connected to the Arctic Ocean to the north and the Southern Ocean in the south. The Atlantic Oceans deepest point is called Milwaukee Deep which reaches a depth of over 28,000 ft. The Indian Ocean is the 3rd largest salt water ocean body on earth. 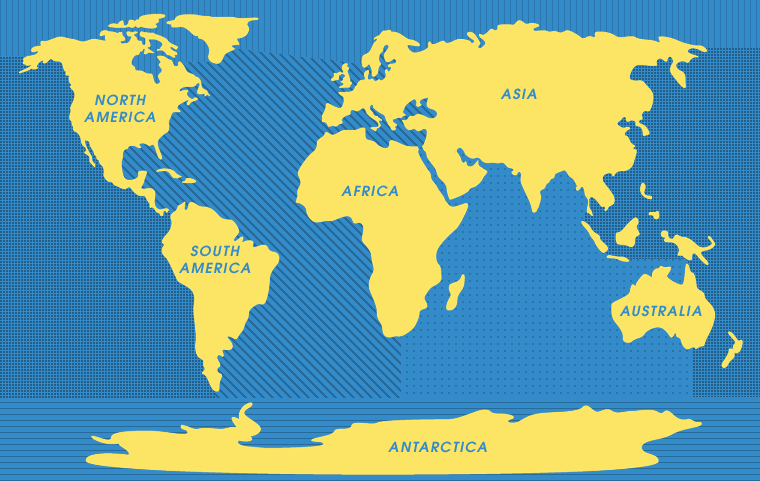 Both the Atlantic and Pacific Oceans are larger. It separates the east coast of Africa from India and Australia. The Indian Ocean is connected to some of the most trafficked water ways in the world including Suez Canal, Bab el Mandeb, Strait of Malacca, and Strait of Hormuz. The deepest point of the Indian Ocean is located at the Sunda Trench, just northeast of Sumatra and it reaches a depth of 12,990 ft. 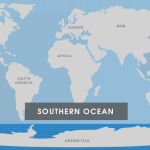 The Southern Ocean is a relative newcomer to the world’s oceans. In 2000, the International Hydrographic Organization decided to create the fifth ocean. Yes, before that there were just 4! This new ocean borrowed from the southern portions of the Atlantic, Indian, and Pacific oceans to create a new ocean that surrounds the continent of Antarctica. 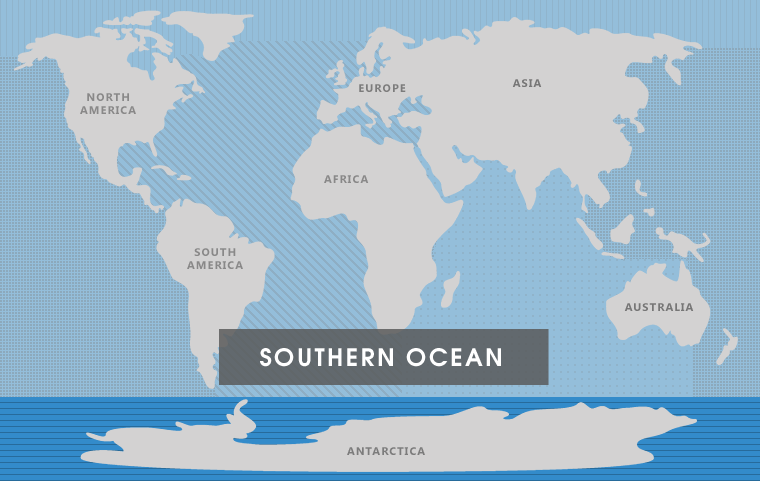 The Southern Ocean is the fourth largest of the worlds oceans. It has the approximate surface area of two Unites States. The Southern Oceans deepest point is 23,737 ft. in the South Sanwich Trench. 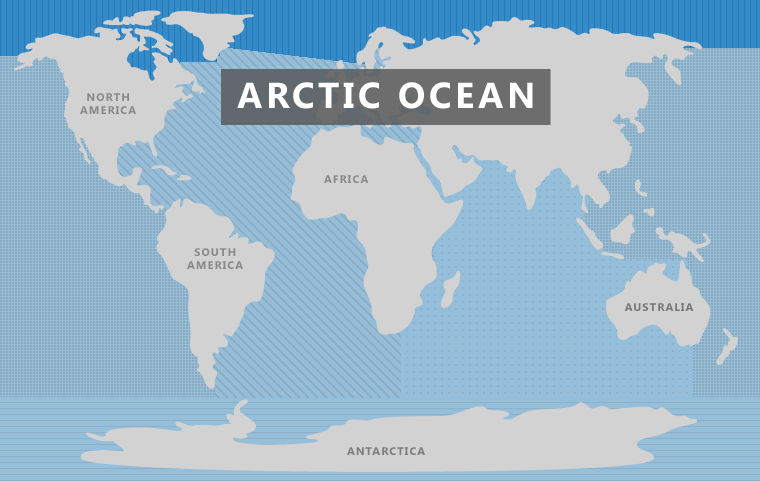 The Arctic Ocean is the smallest of the world’s oceans. It is located across the northern part of the globe above the North American, European, and Asian continents. It happens to be the most shallow of all oceans on earth. The Arctic Ocean is unique due mostly to the extremely cold climate it is located in. It is covered by sea ice, at least partially, year round. Though it is a salt water body of water, it has the lowest salt content of any of the worlds oceans. 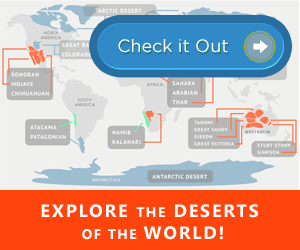 INTERACTIVE OCEAN MAP: Hover or Press the blinking dot to learn more about each ocean. The surface of Planet Earth is around 70% water, over 96% of which is salt water. While this vast area is mostly interconnected, it is broken up into large and small bodies by the seven continents and other landmasses. The largest of these bodies are known as the Great Oceans. What are the 5 Oceans? 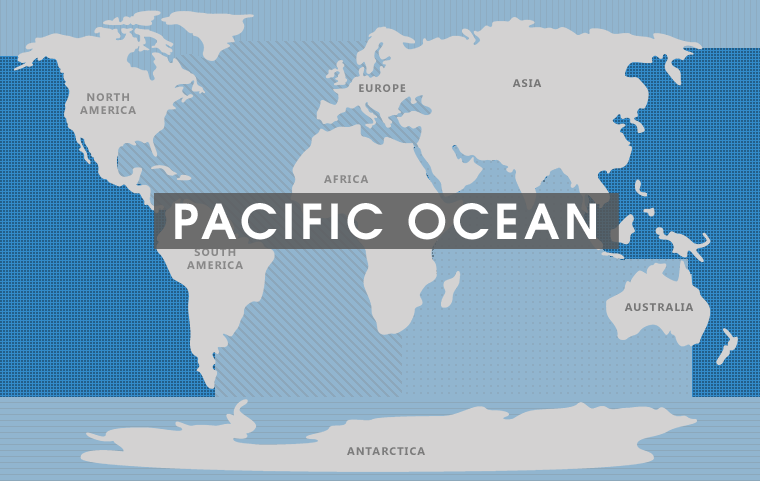 The Pacific is the largest of these oceans, covering 63,784,077 sq miles (165,200,000 km²). It fills the area between the western coastline of the Americas, the eastern coastlines of Asia and Australia, and is capped to the North and South by the Arctic and Antarctic regions. In part because of the numerous tropical islands of East Asia, the Pacific boasts the longest total shoreline, some 84,300 miles (135,663 km). It also holds the deepest point on the earth’s sea floor, the Challenger Deep in the Marianas Trench, near the island of Guam. At close to 11,000 meters below sea level, or almost 7 miles, this crevice was first sounded in 1875 by the HMS Challenger. It would be thought that life forms could not exist at that depth and extreme water pressure. But beginning with radiolarians dredged by the Challenger, hundreds of different species have been found in the Challenger Deep, including shrimp, flatworms, and single-celled protists thought to be very similar to Earth’s earliest life forms. 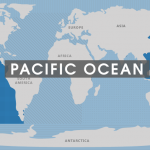 The Pacific was named by Portuguese explorer Ferdinand Magellan, who set sail from Spain in 1519 to find a westerly route to the Spice Islands around the southernmost tip of South America. Rounding the Horn for the first time in November 1520, Magellan passed through the Straits now named for him into a vast sea so calm he described it as a “beautiful, peaceful [pacific] ocean.” Learn more about the Pacific Ocean. The next largest ocean is the Atlantic, with an area of 41,081,270 sq miles (106,400,000 km²). It is bounded by the Americas to its west, and by the western shores of Europe and Africa to its east. It includes the Mediterranean, Caribbean and Baltic Seas, and the Gulf of Mexico. Like the Pacific Ocean, it reaches to the Arctic and Antarctica. In European History, the Indian and eastern Atlantic Oceans were the most completely charted of the world’s seas until the 15th Century; indeed this area was considered the sum total of the known world. With the escalation of the Spice Trade, desire for a Western route to the East Indies led to the eventual navigation of the globe as we now know it. The warm, stormy waters of the North Atlantic once supported great populations of cod and sperm whale. Cod has been an important human food source for hundreds of years, notably during the founding of America’s colonies, when North American settlements relied heavily upon cod’s easily preserved high-quality flesh. The sperm whale, at over 20 meters in length, is the largest living toothed animal. It has huge stores of bodily oil, used to light the lamps of Europe and North America, made this whale greatly sought-after in the late 18th and early 19th Centuries, nearly leading to its extinction. While high-quality whale oil continued to be used in many industries well into the 20th Century, the development of kerosene meant the end to large-scale sperm whale hunting. 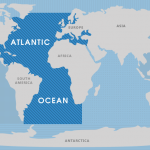 Learn more about the Atlantic Ocean. 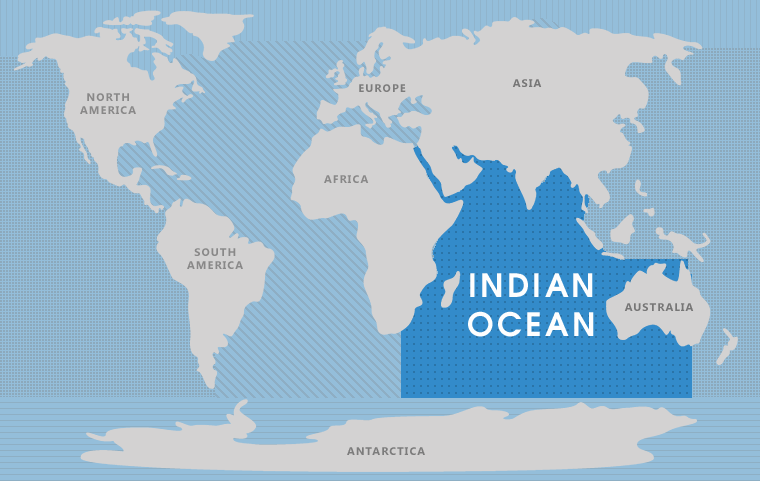 The Indian Ocean covers a 28,400,130 sq mile (73,556,000 km²) area between the eastern coast of Africa, the shores of the Middle East and India to its north, and is separated from the Atlantic Ocean by Southeast Asia and Australia/Oceania. Home to a great variety of humankind throughout history, the Indian Ocean is also rich in exotic plant and animal species, and still supplies the world with spices such as black pepper, nutmeg, and ginger. While these spices are now used primarily to flavor the world’s cuisines, they were used from earliest times to preserve foods, and were thought to have great medicinal properties. Indeed, during the terrible plagues of the 13th through 17th Centuries, Europeans were so convinced of their curative powers that their countries fought repeated wars and gambled untold fortunes to gain control of the Spice Islands, and the number of explorers and sailors willing to risk their lives charting new maps to reach them is difficult to imagine. 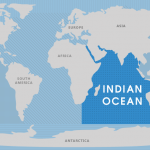 Learn more about the Indian Ocean. At 5,400,025 sq miles (13,986,000 km²), the Arctic is the smallest and shallowest of the five Oceans, and falls mostly within the Arctic Circle. It is surrounded by the Eurasian and North American continents, and includes Hudson Bay and the North and Barents Seas. For most of the year, these seas are a mass of ice often hundreds of feet thick; even during the brief summer months ice can make the Arctic Ocean impassable, and it wasn’t known until modern times that there is little solid ground in the most northern reaches of the Earth. Nonetheless, its icy landscape has been inhabited since ancient times by the hardy ancestors of the Inuit of North America, the Sami of Scandinavia, and the Nenets of Russia. The great explorers of the 16th-19th Centuries were determined to find passage from the North Atlantic through to the rich shores of Asia in search of spices, silks and opium. The majority of these explorations ended in failure and disaster; but in the 19th and 20th Centuries accurate passage was finally charted through the mostly frozen waters of the Arctic. 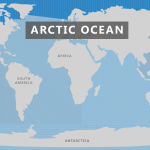 Learn more about the Arctic Ocean. Until the mid-20th Century, the waters surrounding Antarctica were generally considered to be extensions of the adjoining oceans. But in 2000, members of the International Hydrographic Organization almost unanimously agreed to identify these southernmost waters as the Southern Ocean. Although its definite boundaries are yet to be determined, below 60°S latitude is generally accepted, giving it an area of 7,848,299 sq miles (20,327,000 km²), and making it the fourth largest of the Earth’s oceans. Joining waters of the southern Pacific, Atlantic and Indian Oceans with a persistent easterly current, the frigid Southern Ocean has a great influence on the Earth’s weather patterns. Learn more about the Southern Ocean. Want to know more about the oceans? Have a look at these interesting facts about the oceans! Great stuff. Thank u very much, it was what I needed for my school project. I would like to know more about the 5 oceans! The map really changed my perspective on things. Thank you very much and this is very helpful! Thanks for the very helpful explanation!